DUBÉ LATREILLE is a dynamic, pragmatic and modern law firm well established in downtown Montreal since 2003 (www.dubelatreille.ca). Reliable, polyvalent and competitive, DUBÉ LATREILLE offers legal services in civil law, corporate law, commercial law and family law in order to meet the needs of a demanding clientele that includes ordinary people, professionals, and small and mid-size businesses. When called into action, the lawyers at DUBÉ LATREILLE stand out for their efficiency, integrity, compassion and their availability. Their mission is to defend with diligence and pugnacity the interests of its clients while taking into account their reality, their capacity, and their objectives. DUBÉ LATREILLE, however, goes beyond the practice of law. Indeed, the social commitment of the firm is also of great significance for the members of its team who share a common will to contribute actively to the progress and bettement of our society. 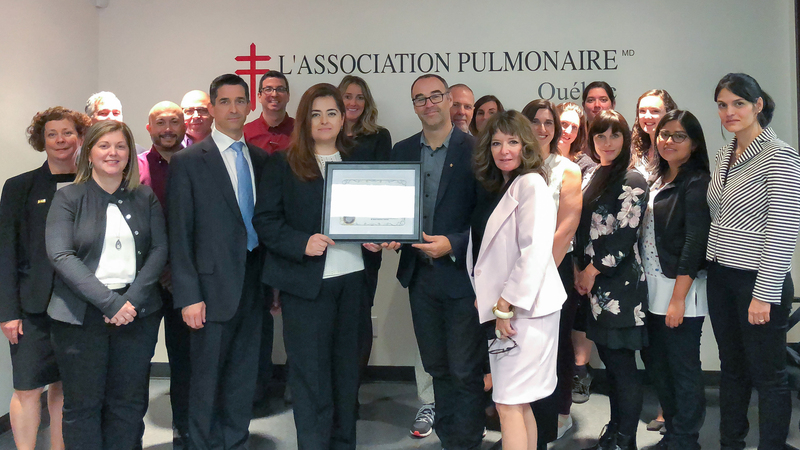 This is why, for its 15th anniversary, DUBÉ LATREILLE is proud to initiate a partnership with the QUEBEC LUNG ASSOCIATION in order to broaden its reach and contribute to its success.